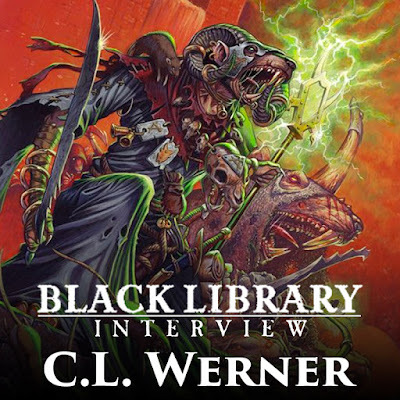 Today I have an interview with Black Library writer C.L. Werner, author of the Brunner the Bounty Hunter, Thanquol, and Witch Hunter series amongst many others. His most recent contribution was the awesome Lord of Undeath for AoS. He talks about the servants of Nagash, AoS in general, and his past work in the Old World. 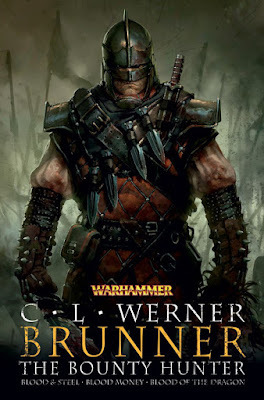 Werner: I started writing for the Black Library all the way back in 1999 when they were still publishing Inferno!, which was a bi-monthly magazine of short stories, comics and art themed around the various Warhammer and Warhammer 40k settings. I sent an inquiry letter which was received by editor Christian Dunn. He must have formed a positive impression of me as he requested a trial story from me to see if I could do the worlds of Warhammer proper justice on the written page. That 'trail' story became 'A Choice of Hatreds' which was printed in Inferno! 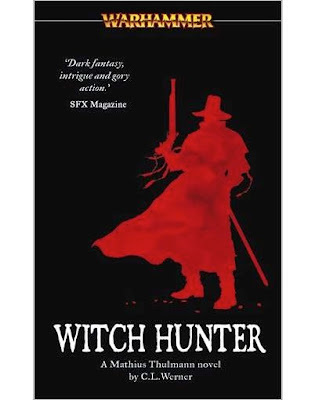 #22 and marks the first appearance of the witch hunter Mathias Thulmann. 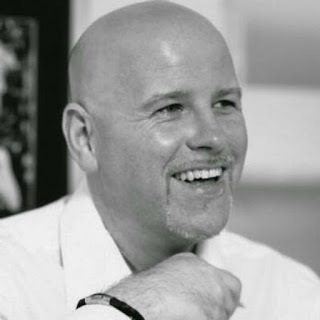 From there it was a case of swift escalation, moving from a few short stories to Marc Gascoigne requesting a novel, which would become Blood Money. Werner: It really does vary from project to project. Sometimes a writer will approach the editors with an idea they think would make a keen story, other times the editors will have a project in mind which they think will suit a particular author's strengths. There are instances where a particular race or faction might be more in need of promotion than another, so projects with these characters will be more in demand. 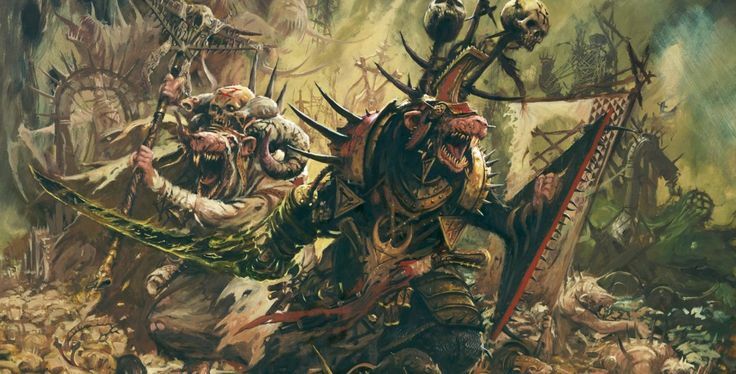 There are times too where certain story aspects are desirable to advance a larger narrative – something you'll see in Age of Sigmar and the Horus Heresy – so these elements will act as the frame around which the author will flesh out a larger narrative. At the outset, plotting a novel is very much a collaborative effort between the author, editor and the loremasters in Nottingham who ensure that there isn't anything that will subvert or violate aspects of the established background inadvertently (sometimes you'll have to rewrite a bit of history but it should always be the result of careful consideration). Once an outline is agreed on, once the skeleton is all laid out, then begins the process of building up the body of the story. 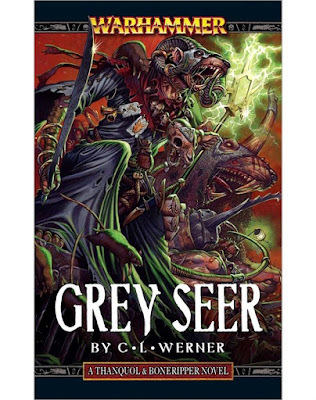 Werner: I'd imagine, if we're going by the most engaging and fulfilling, I'd be tempted to say either Witch Hunter the first Mathias Thulmann novel, or Grey Seer, which allowed me to delve into my favourite character in the whole of Warhammer, the insidious Grey Seer Thanquol. 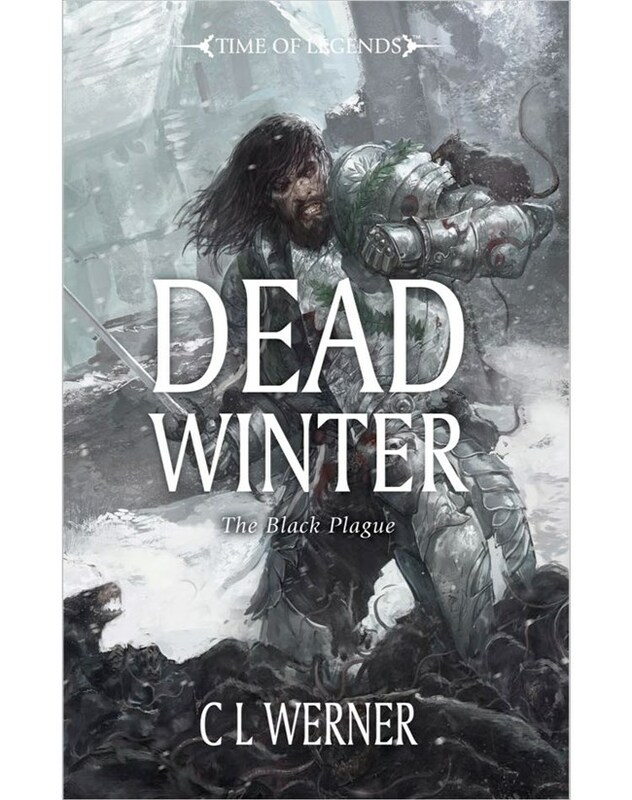 So far as what I consider the best written or plotted, I'd be very tempted to point to the Black Plague Trilogy as a whole. 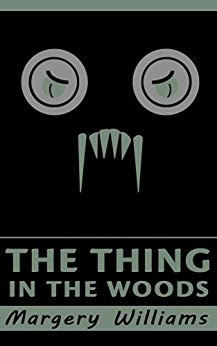 The ones that were the most fun though would have to be the Brunner stories, and I'd maybe peg 'Wolfshead' as a particularly satisfying one. Werner: I've always looked to William King's work as a major inspiration overall. There are so many talented authors for Black Library that I'd feel rotten forgetting any names, so I guess I'll limit myself to the man who was the biggest inspiration on my last project, and that would be Graham McNeill. He's always good for a gripping narrative, fascinating characters, and moments of visceral action and horror. If I can evoke even a fraction of his talent in my work, I consider it a good day's writing. Werner: I'll have to agree on that score. A writer needs to read, and you need to read all sorts of material. Non-fiction and fiction, detective stories and horror novels, fantasy tales and westerns. The broader the base you can build, the better your own skills will become. At the moment I have three books going: The Thing in the Woods, a horror novel from 1913 written by Marjery Williams; Fighting in Hell edited by Peter G. Tsouras, a compilation of military assessments made by German officers about the fighting on the Russian Front in WWII; and Ancient Rome by Simon James, a history I'm perusing before sending along to my daughter. As regards my all-time influences, the biggest would have to be H. P. Lovecraft and Robert E. Howard. Without those two fantasists, I doubt I'd ever have taken up writing. Sir Arthur Conan Doyle and JRR Tolkien are other major influences and I stand utterly in awe of Walter B. Gibson, who as 'Maxwell Grant' wrote 286 novels about The Shadow. Edgar Allan Poe, Bram Stoker, H. G. Wells, M. R. James – too many authors to list I fear! Tyler: You have contributed several stories to Age of Sigmar so far, the latest being Lord of Undeath. Which of these was your favorite to write, or which did you connect with the most? 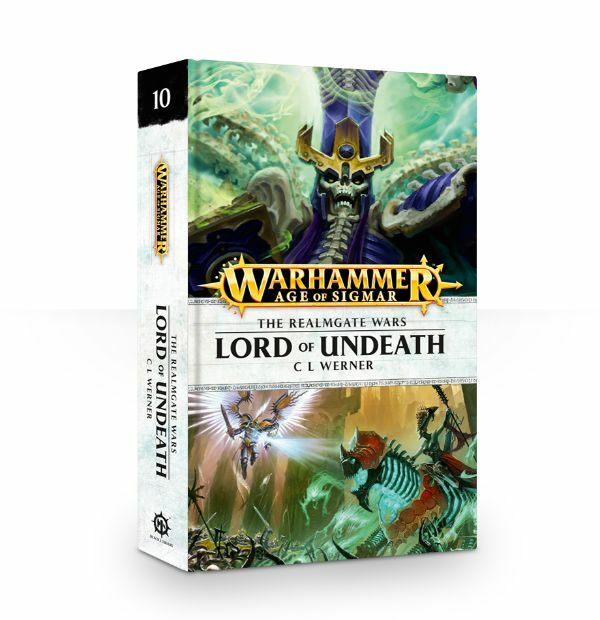 Werner: Of the Age of Sigmar stories which have emerged from my pen (or keyboard) I would pick Lord of Undeath as the most engaging. It allowed me a broader range of characters to explore and, of course, the opportunity to play with my second favourite character in the setting: Nagash the Black. Tyler: In Lord of Undeath we get to see all of the Mortarchs and how they interact with both each other, and with Nagash himself. Can you tell us a bit about writing these often complex and duplicitous relationships? Werner: When writing undead of the intelligent nature (as opposed to simplistic things like ghouls and zombies) you run into the very formidable aspect of their characters. These are beings of vast, almost inconceivable, experience. They have so much to draw upon, so much they have learned and endured already that they are far superior to even the most learned mortal. The flaw in the undead, however, is that they are very slow to adapt. Creatures like Mannfred and Neferata will keep slipping back into familiar patterns, resorting to old methodologies and practices. At the same time, they are very cunning and utterly ruthless strategists. Their ploys aren't simply devised to bring immediate reward but may be aspects of a greater design that will play out down through centuries. 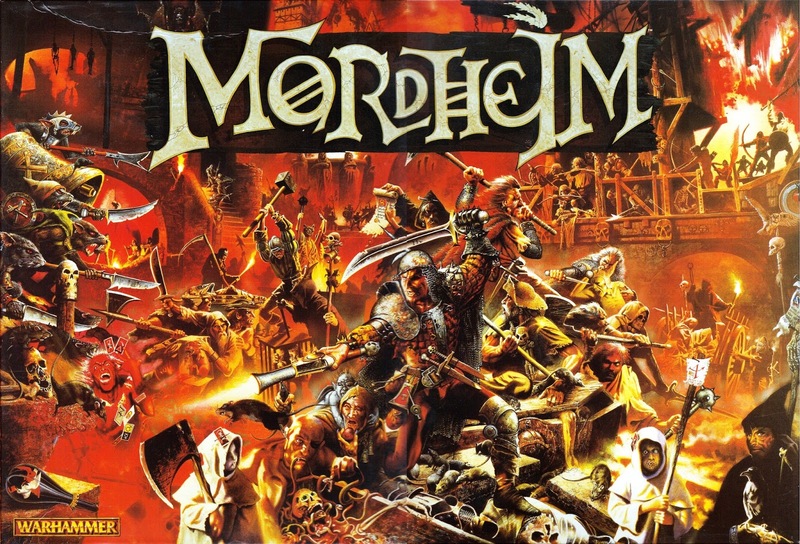 The Mortarchs especially are engaged for a long game. My take on the Mortarchs was that Arkhan is completely devoted to Nagash, almost to a degree where he exists almost as a facet of his master. Mannfred, by contrast, is continually scheming to set himself beyond his master's reach. Neferata is somewhere between these two extremes – while she might share Mannfred's ambition she isn't going to expose herself to Nagash's wrath. Tyler: Neferata gets the most page time in the story as far as the death characters go. She has always been one of the most interesting death characters to me, perhaps because she seems the most human in a way. How was it writing such a vile person who can also be very relatable at times? 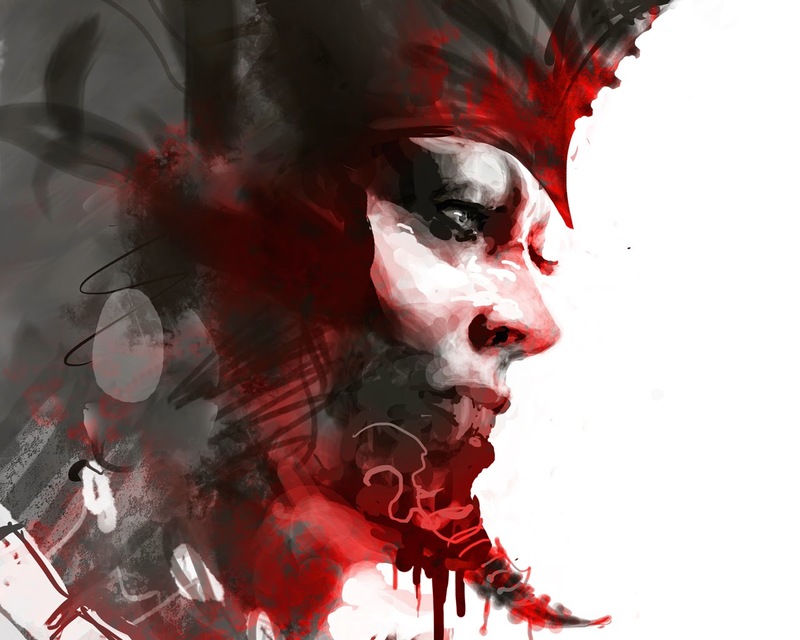 Werner: In Lord of Undeath Queen Neferata is the readers' first contact with the hierarchy of Shyish and therefore assumes a greater presence throughout the story. She is, at her core, an inhuman monster clinging to pretensions of nobility. She revels in the trappings of royalty and the prestige of being sovereign of her kingdom. Yet this vision is twisted by her undead nature, leaving her with a macabre perception of what it means to rule. She lacks empathy or compassion for anything, all of her servants and subjects are important to her only as possessions, things to make use of as she sees fit. If she has a redeeming, or at least relatable quality, it is her thirst for independence. Whether it is the conquest of Chaos or the dominance of Nagash, she ultimately wants to be free. Towards that end she will make use of anyone and anything – ruthlessly and even murderously. While her objective might be laudable, her methodology is nothing shy of horrific. Tyler: Nagash is obviously a very important person in both AoS and Warhammer Fantasy before it. Was it a bit intimidating writing such a momentous character, especially with several scene from his point of view? 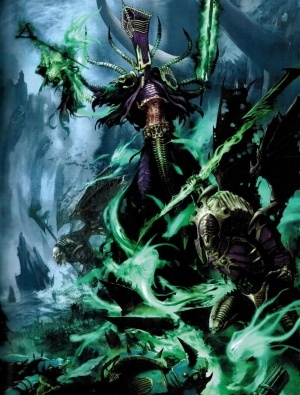 Werner: Nagash is a very daunting character to write, yet at the same time the Great Necromancer is one of the most enticing. I've wanted to do something with Nagash for a very long time, so getting my hands on him in Lord of Undeath was exciting. Doing so presented its own problems. Nagash is far beyond even his Mortarchs so far as his mind is concerned. All the issues of writing the undead are compounded when writing a being that is the God of Death. 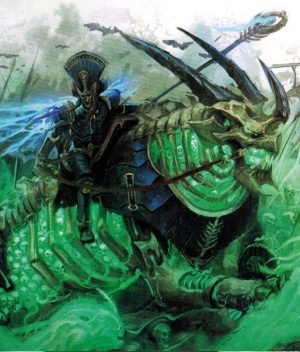 Nagash is like a calculating chess master, planning every move several steps ahead of his opponent, foreseeing every possible variation and making contingencies to address them. 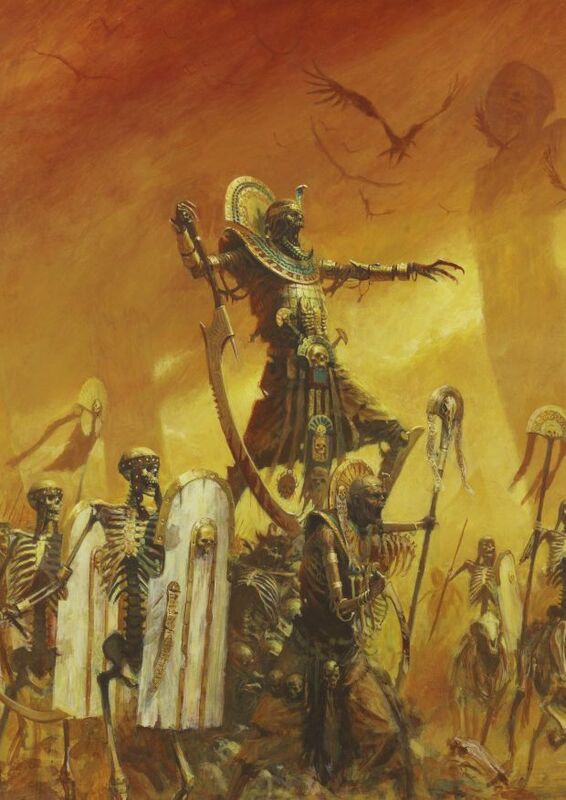 Everything and everyone, be they mortals or gods, is simply a pawn in the grand schemes that Nagash has devised. Tyler: You managed to make all of the Stormcast Eternal characters feel unique and believable, which is sometimes difficult to achieve with them. 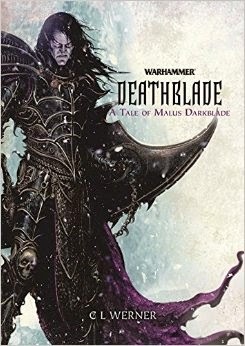 What challenges do you find when writing about Stormcasts? Werner: Stormcast Eternals are quite different to write. Many of the passions and drives that motivate mortal man have been burned away in their reforging. 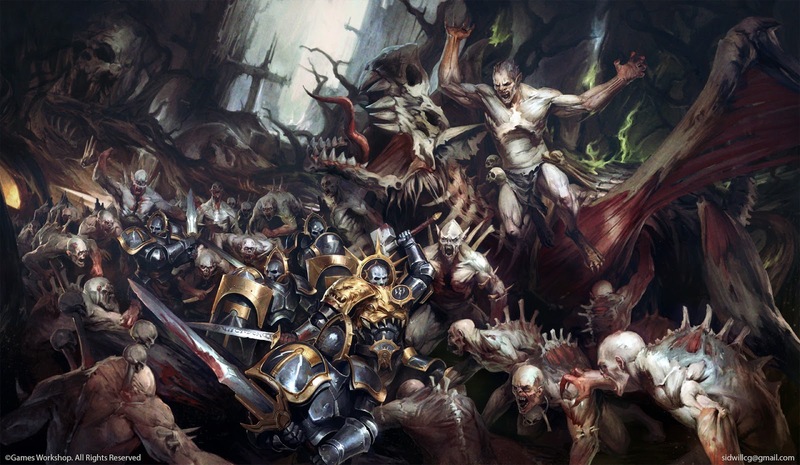 What is left is a pure and complete devotion of Sigmar, an all-consuming sense of loyalty and duty. The Stormcasts share Sigmar's purpose and the only real fear they have is to fail in their obligations to the God-king. While no Stormcast doubts Sigmar or the purity of their purpose, they may differ in their perspectives on how to achieve that shared goal. It is in that difference of perception that I think the personalities of the Anvils of the Heldenhammer are allowed to become distinct and peer out from being their sigmarite masks. Tyler: Being a bit of a Tomb King fan, I have to ask about Mephitt and the other Tomb Kings references like the Ushabti near the end. Was this something you just wanted to sprinkle in there as an homage or something more? 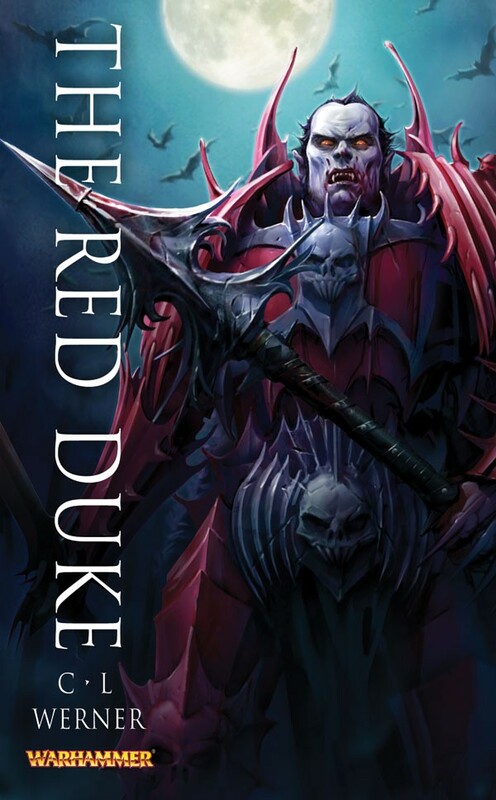 Are they an element you would like to bring into future stories, even if they are just a cameo like in Lord of Undeath? Werner: I wanted to seed a few callbacks to the Tomb Kings as a tribute to what had gone before. The drowned city of Mephitt was lent an even greater feel of antiquity and a vanquished past for the imagery of the Tomb Kings. The Ushabti later on were employed for much the same reason, a little memento of the gilded past. Tyler: What was your first reaction when you heard about the conclusion of the End Times and the dawn of the Age of Sigmar? Werner: I think my reaction at learning of the End Times was one of concern, a worry about what would follow after the richness of Warhammer's Old World. With Age of Sigmar I think there is a setting that promises almost unlimited scope for exploration and development. Grand vistas of magic and wonder that would have been appropriate only to the Chaos Wastes of Warhammer (if even then) are much more credible and approachable in Age of Sigmar. That lays an incredible degree of freedom for a writer to explore if their imagination is equal to the task. Tyler: Do you find any major differences in how you have to approach writing an AoS story over a Warhammer Fantasy one? 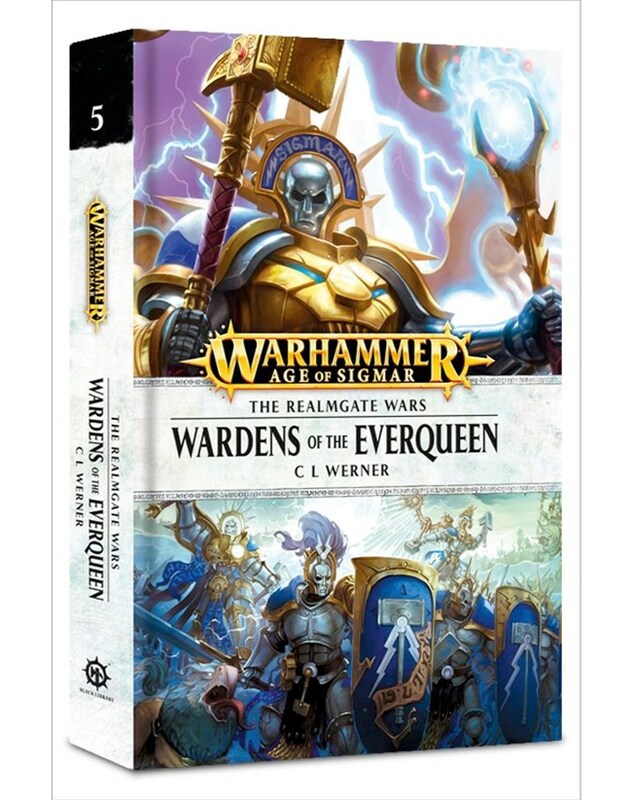 Werner: The biggest difference between writing for Warhammer and writing for Age of Sigmar has proven to be that of scope. What I mean is that Warhammer was very much a ground-level fantasy setting. I'd write from a more focused and limited perspective. In the Old World, the fight for a single city was a thing of incredible moment. Age of Sigmar is much grander in scope. Here it isn't a question of cities, but of entire realms of existence. Armies of incalculable size strive to conquer landscapes as vast as all the Empire. The stakes are much greater, the conflicts of a gargantuan scale. As a result the personalities of those engaged in this war have to be that much more epic. These aren't knights focused on defending a single village, but reforged immortals fighting to preserve reality itself! Tyler: If you could write about any plot line, setting, or character within AoS, what would it be? Werner: If I had a chance, I'd really like to do something with the skaven again. 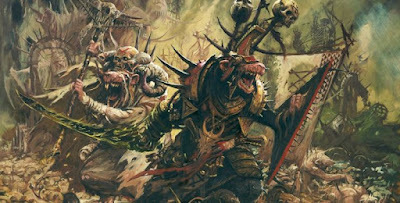 I've managed to sneak the ratmen into both Wardens of the Everqueen and Lord of Undeath, but to do a full story from their perspective would, I think, make for an intriguing prospect. Tyler: Do you play the game on the tabletop or collect the miniatures at all? If so, what armies? Werner: Sadly I've not had the time to play in ages. The last game played was a Mordheim skirmish with Witch Hunters against Skaven (I lost, which shows I should have remained faithful to the Horned Rat). 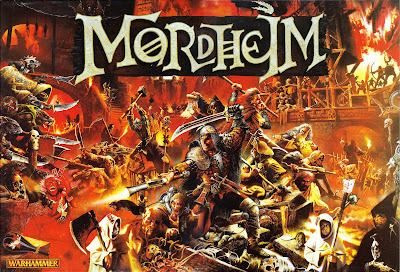 In the past, for Warhammer, I had Skaven, Empire, Lizardmen, Orcs & Goblins, and Undead armies. For Warhammer 40k it was Orks, Imperial Guard, Space Wolves, Genestealer Cult, and Chaos. Werner: I don't have any projects in the works at the moment for Age of Sigmar. I have a novel in the final editing stages for Black Library, but I can't go into details about it. Once that is finished, I have a novella I need to start for another publisher. Werner: Thank you very much for expressing some interest in my musings and insight. I am very humbled that there are readers out there who enjoy my work and I can only express my sincere desire to maintain that quality of story-telling in my work. I would like to thank C.L. Werner for taking the time to do this interview for me and I look forward to what he has to write next for AoS. 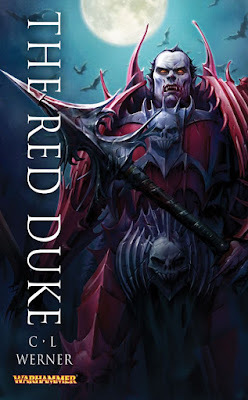 You can find my review of his latest novel, Lord of Undeath, here.